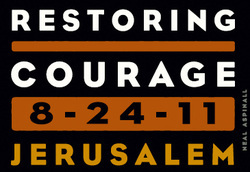 We have created this page to provide coverage of Glenn Becks Restoring Courage event in Israel this week. This event is a pivotal moment in our Nation’s future. As a country we have alienated our closest ally in Israel. As a people and as Christians we must demonstrate to our Israeli brethren that we stand in solidarity with them.